This weather ‘roller coaster’ is kinda spooky… Normally the pale yellow stalks of sea kale are in season in April but this year we’ve been harvesting them from under the cloches for over a month, in fact the crop is almost finished. Even more extraordinary is our asparagus crop usually in season in May. This year we ate the first meal at the end of February and have had several cuttings since. Super charged, climate change whether cyclical or man-made or a combination of both is a terrifying reality, however as a consequence, this Easter we can enjoy not just the first of the rhubarb but both Irish asparagus and the last of the seasons sea kale. As with Christmas, the blatant excess and consumerism makes me deeply uneasy and almost feel queasy. Somehow it makes me focus even more on the true meaning of the Feast of Easter, I vividly remember a time when we all fasted throughout Lent and took on a penance of our choice. We ‘gave up’ sweets or ‘the drink’ or some other secret obsession…and then there was the satisfaction of having kept to our resolution and the joy of the first bite of an Easter egg on Easter Sunday after Mass or Church – one lovely little chocolate egg that we ate morsel by morsel often over several days. 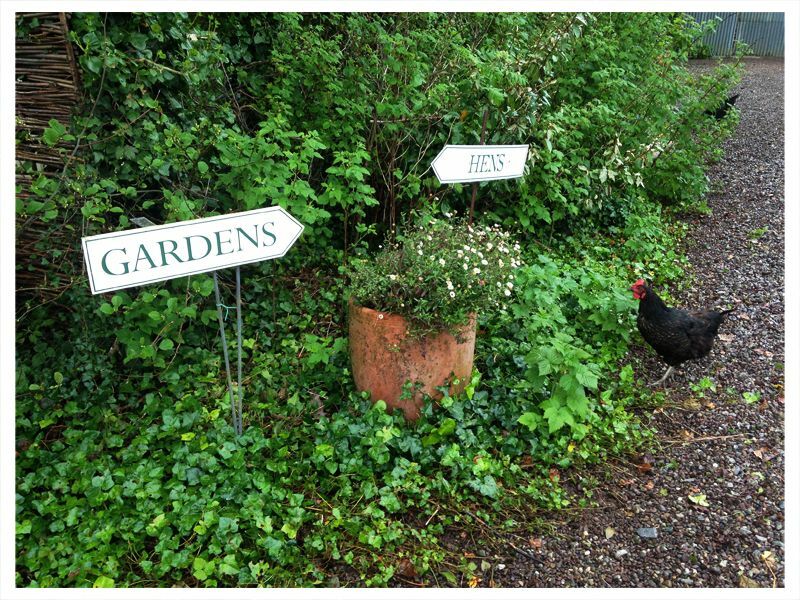 The hens in our ‘Palais de Poulets’ have gone into overdrive, they hate the cold, wet Winter days, and only lay haphazardly but coming up to Easter they start to lay again with gay abandon so if you have a few hens and I hope I’ve managed to persuade you by now to have a little moveable chicken coup on your lawn - you can enjoy dipping those tender asparagus spears into a freshly boiled egg. We’ll roast a shoulder of sweet succulent Easter lamb and enjoy it with the already prolific spearmint in the herb garden and then of course there will be a juicy rhubarb tart. This year I’m using the Ballymaloe cream pastry recipe, it sounds super decadent and is but it’s extraordinarily good and super easy to make so don’t balk at the ingredients – just try it! I spent a week in New York over the St Patrick's Day festival. 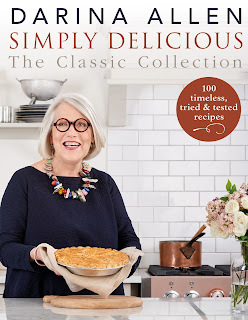 Even though the primary reason was to do events and interviews to promote Ireland and my latest book, Darina Allen, Simply Delicious: The Classic Collection, (quite a mouthful! ), so it was also a brilliant opportunity to check out the New York and Brooklyn food scene. As well as a 3-inch high kale quiche with a bitter leaf salad, chips with aioli, stracciatella with toasted almonds, raisins, preserved lemons and marjoram with sourdough toast. But the stand out dish was their craggy meltingly rich corn pancakes with maple butter. There are pancakes and there are pancakes but these were by far the best I ever tasted, sweet, salty, crisp and buttery on the outside, soft melting and irresistibly gritty inside. Definitely one of the highlights of the week with pure Vermont maple butter melting over the top. A tiny, Japanese panelled restaurant called Hall is another little gem in the Flatiron. The juicy washu (not wagyu) beef burger served deliciously pink on a brioche bun was particularly delectable and only $5.99. 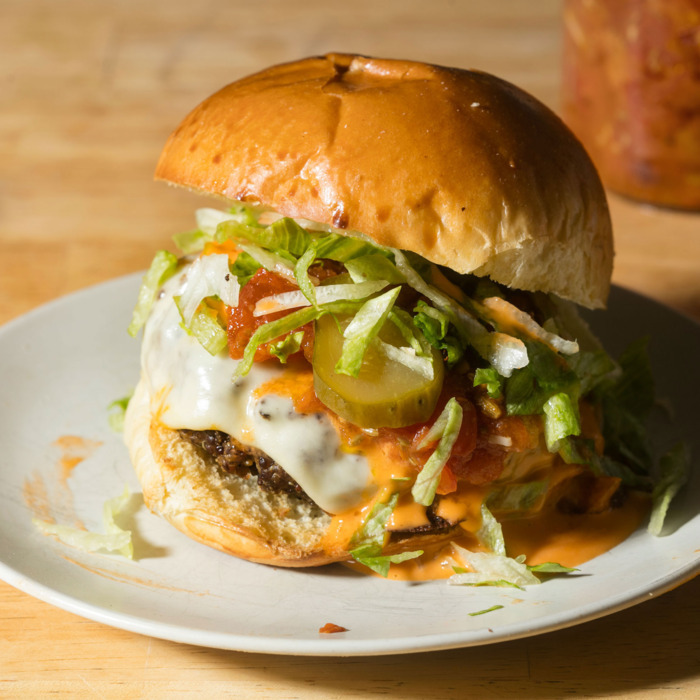 King on King’s Street is wowing New Yorkers with their seasonal Italian menu - homestyle cooking with a daily changing menu. The light is particularly wonderful at lunch time in the chic but cosy dining room with the bonus of beautiful art on the walls. La Mercerie Café at the Roman and Williams Guild at 53 Howard Street in Soho and a luxury design store, super chic, expensive but worth checking out. And finally for now, there’s Maialino for many good things but if you haven’t already had their cacio et pepe scrambled eggs with sourdough toast put it on your bucket list. This time I sat at the counter and had a few little snacks, loved the grilled organic chicken hearts on rosemary skewers and the white bean puree with sage pesto, espelette pepper and carta musica. The Paris restaurant scene has sprung back into life. That may sound like a bizarre observation considering its reputation as the gastronomic capital of the world. However, throughout the 1970s, '80s and '90s, Paris sat haughtily on its laurels, ignoring the food revolution that was taking place from Sydney to LA. The Michelin-starred establishments continued to hike up their prices, serving predictable food with lots of foams, gels and ‘skid marks’ on the plates, plus liquid pearls, powders, swirls and fronds unaware or unphased by the change in millennial eating habits and taste. 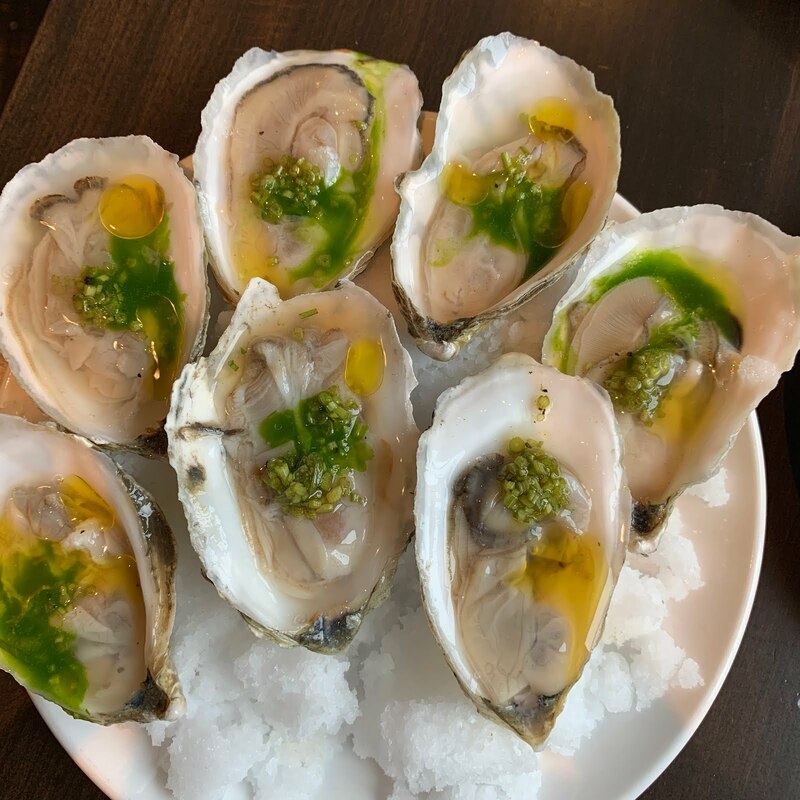 Then Daniel Rose opened Spring in 2006 (now closed) and Greg Marchand followed in 2009 with Frenchie on Rue-de-Nel - a breath of fresh air, simple fresh contemporary food made with superb ingredients. The media and customers flocked eager for change and the revolution was born and so it continues. Sometimes you only need to be famous for just one thing… In the case of tiny Comme à Lisbonne on Rue du Roi de Sicile in Le Marais it’s their Portuguese custard tart. There will be a queue all along the sidewalk. They bake just 24 tarts at a time…they are snapped up like the proverbial hotcakes. If you are lucky there may be space along a tiny shelf in the shop to enjoy with a cup of espresso with your little treat. Fed up and disheartened by ‘no shows’, many of the chicest places no longer take bookings. There was an hour and a half wait for Clamato, a seafood restaurant on Rue de Charonne. So we had a little plate of some saucisson and a couple of glasses of natural wine from their superb list at Septime, a tiny wine bar across the road. Eventually we gave up on Clamato and had dinner at Semilla, a much talked about and now super busy restaurant serving modern French food. Veal sweetbreads with salsify confit was the stand out dish rather better than some of the more bizarre combinations like sea urchins with coffee mousse. 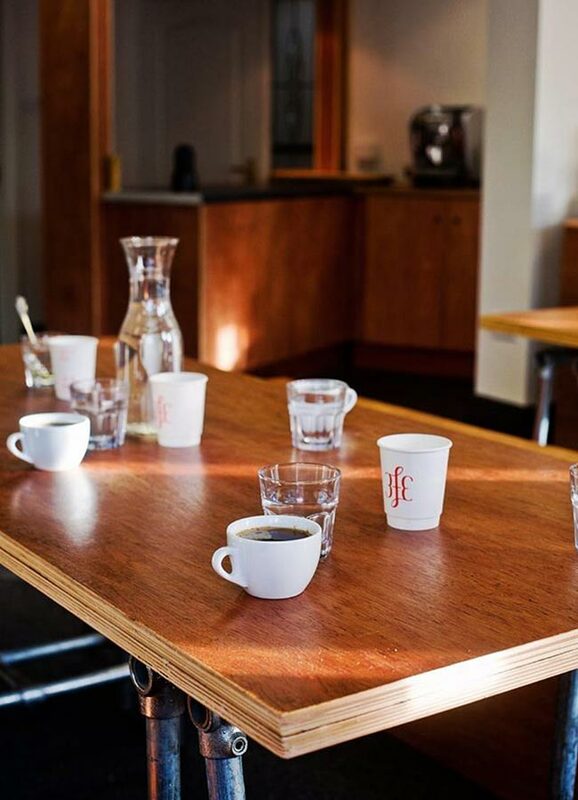 There are many coffee bars serving superb brews. Try Télescope on 5 Rue Villedo but it’s closed on Sunday. Farine & O on Rue du Faubourg Saint-Antoin and Ten Belles on Rue de la Grange aux Belles are also worth a detour. As is Boot Café, a hole in the wall on Rue du Pont aux Choux. 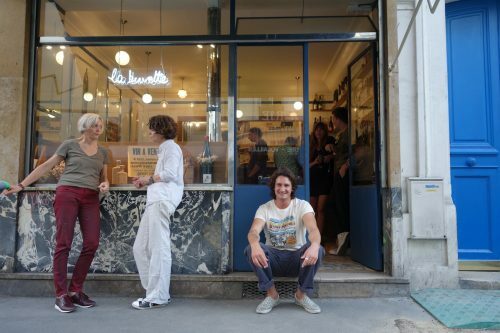 Mokonuts, on Rue Saint-Bernard is a definite favourite, can’t wait to go back for breakfast, brunch or dinner. It’s a tiny café run by Moko Hirayama and Omar Koreitem. Loved the labneh on toast with olives and the flatbread with sumac and melted scarmosa on top. They also make what is perhaps the best chocolate chip and oatmeal cookie I have ever eaten, plus superb coffee. E Dehillerin on Rue Coquillière is like Hamleys or Smyths Toys for cook and chefs. Every time I visit, I feel like a kid in a candy shop surrounded by tempting cookware and gadgets in this ‘no frills’ store which has remained pretty much the same since it first opened in 1820, narrow aisles, wooden shelves and metal canisters full of superb quality utensils. Just around the corner on Rue Montmartre, you’ll find M.O.R.A., another iconic cook and bakeware store, that also sells a huge range of cake decorations and baubles for pastry chefs Both shops are geared towards culinary professionals but also welcome keen cooks. A whole series of little plates of real food from the chalk board, the least ‘cheffie’ but elegantly earthy comfort food. Loved his winter tomato salad with extra virgin olive oil or the pan grilled scallops on mashed potato and dill. No swirls, pearls, powder or fronds here, just real food and a superb natural wine list. How fortunate are we here in Ireland to have such an abundance of artisan products and more emerging virtually every week. This sector is incredibly creative and has helped to enhance the diversity and image of Irish food hugely, both at home and abroad. Visitors to Ireland are thrilled to taste the farm house cheese, charcuterie, preserves, pickles, ferments, smoked fish and increasing real bread from the growing number of artisan bakeries who are making real natural sourdough bread free of the almost twenty additives, enzymes, improvers and processing aids, which can be legally included without being on the label. No wonder so many people are finding they have a gluten intolerance. 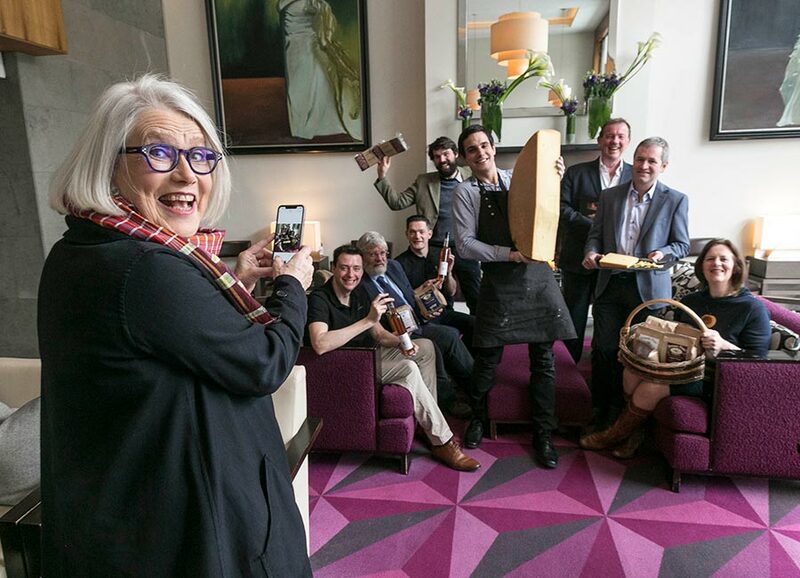 The latter awards were held recently at Glovers Alley restaurant in the Fitzwilliam Hotel, Dublin. The selection process is meticulously conducted. Nominations are in confidence, received from Guild members, shortlisted, tasted and chosen individually to a carefully agreed list of criteria. An Irish Food Writers Guild award is much coveted by the recipients. This year three of the eight biggest awards went to Cork – just saying! 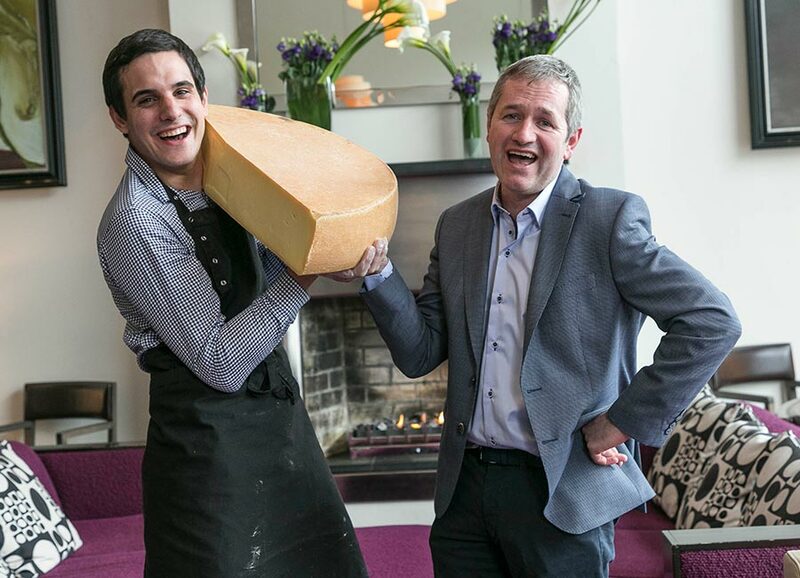 One of the awards went to Hegarty’s Cheese for their new Teampall Gael cheese. The Hegarty family are fifth generation dairy farmers in Whitechurch in North Cork. To add value to the milk of their large Friesian herd, they experimented first with yogurt and cheese and eventually launched a traditional cloth bound truckle of Cheddar in 2001. Jean-Baptiste Enjelvin from Bordeaux in France joined them in 2015 and a Comté style cheese, Teampall Gael is the result of this collaboration. This sweet, delicate, nutty, alpine style cheese is made only from the raw milk of pasture fed cows (no silage). The huge 40kg wheels are matured for at least nine months - a really exciting addition to the Irish farmhouse cheese family. 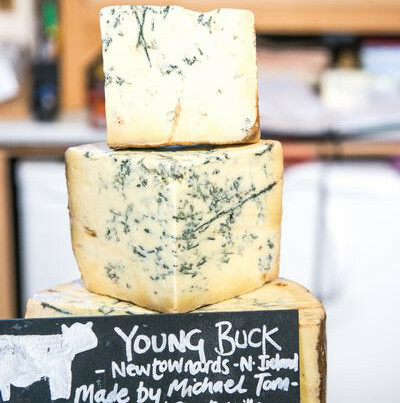 Mike Thompson’s beautiful Young Buck Cheese from Co. Down also won an award. This raw milk, Stilton type blue cheese, comes from a single herd and was the first artisan cheese to be made in Northern Ireland. 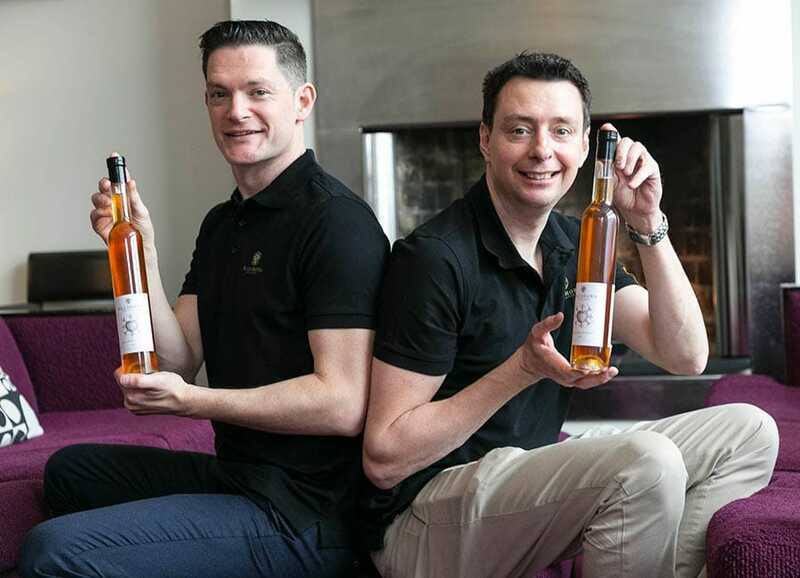 near Carrigtwohill for their Rare Apple Ice Wine. A really exciting ice wine, delicious to serve with desserts or made into a granita. Andy McFadden and his team at Glovers Alley served it with a sheep’s yoghurt mousse, honey and lime. David Watson and Barry Walsh of Killhora Orchards grow over 130 varieties of apple used to make craft cider, and 40 pear varieties to make perry. Look out for their apple port also... It tastes like the best white port, delicious to sip on its own or with a good tonic water. 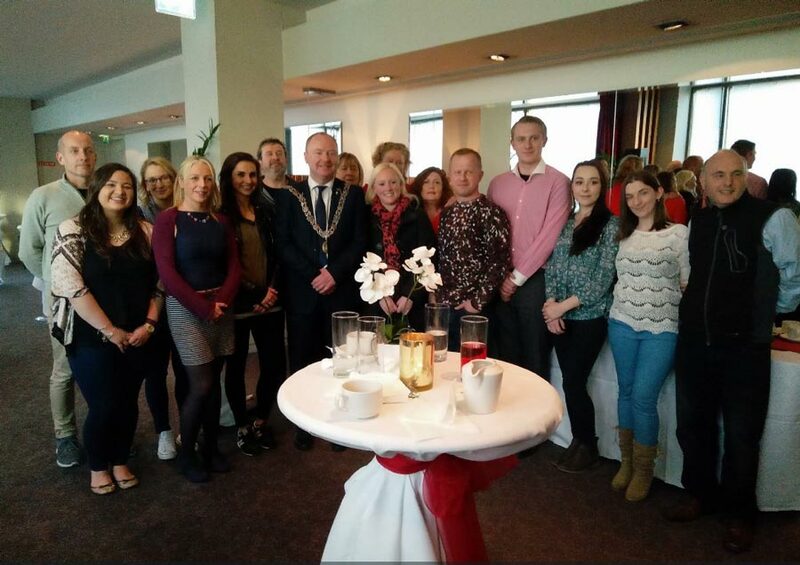 The Community Food Award went to Cork Penny Dinners which was founded during the famine in the 1840s. This much-loved Cork charity provides up to 2000 nourishing hot meals every day of the year in a safe and nurturing environment for all those in need. Catherine Twomey and her team also run five classes a week, the Cork Music Dojo, High Hopes homeless choir, the Food for Thought mental health initiative for students, mindfulness classes and French classes. They are about to expand their facilities to include other educational opportunities, plus a clinic run by GP’s who donate their expertise for one day a year. 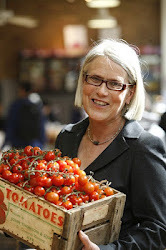 A third accolade for Cork and a hugely deserving winner of the Community Food Award. If you would like to donate your time or money go to their website. The Environmental Award went to Charlie and Becky Cole of Broughgammon Farm in Ballycastle, Co Antrim. 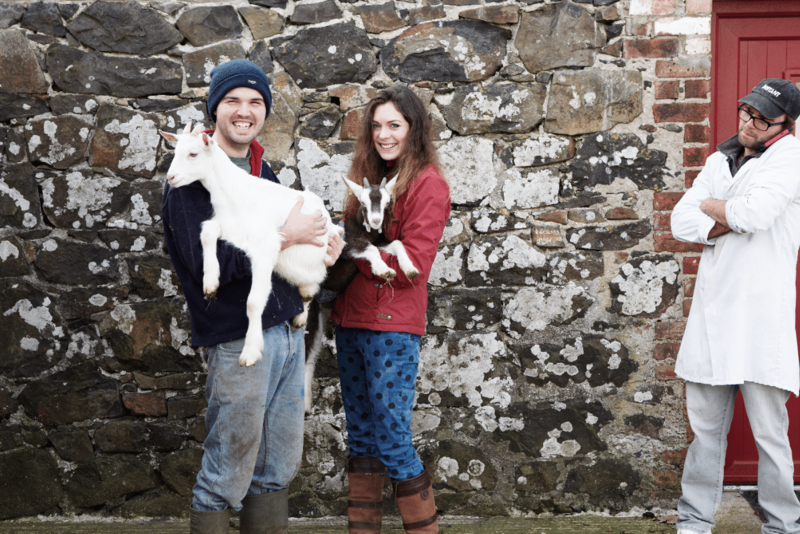 The Irish Food Writers Guild recognises them for their exceptional commitment to the environment and for rescuing male kid goats who would normally have been put down at birth. They now rear free range rose veal and seasonal wild game as well and make an exceptionally good rose veal salami. There’s also an eco-farmhouse, on-site butchery facility and farm shop that use solar thermal heating, low-flow appliances and photovoltaic solar panels. The inspirational Workman family of Dunany Flour in Co. Louth have been growing heirloom wheat varieties and milling their own organic flour for four generations. Recently they recognised a gap in the market for spelt, a challenging crop to grow and harvest but nutrient dense and low in gluten, high in fibre and B vitamins and rich in essential fatty acids and amino acids. Dunany organic spelt grains are my new best find and we enjoyed a stunning spelt risotto made from it for lunch at Glovers Alley. I can’t wait to experiment more. Last but certainly not least the Lifetime Achievement Award went to Peter Hannan of Hannan Meats, near Moira in Co. Down, in recognition of his continued work as one of Ireland’s most dedicated food champions. Peter has dedicated his life to producing superb quality beef and is 50% stakeholder in the renowned Glenarm Southern Beef Scheme. 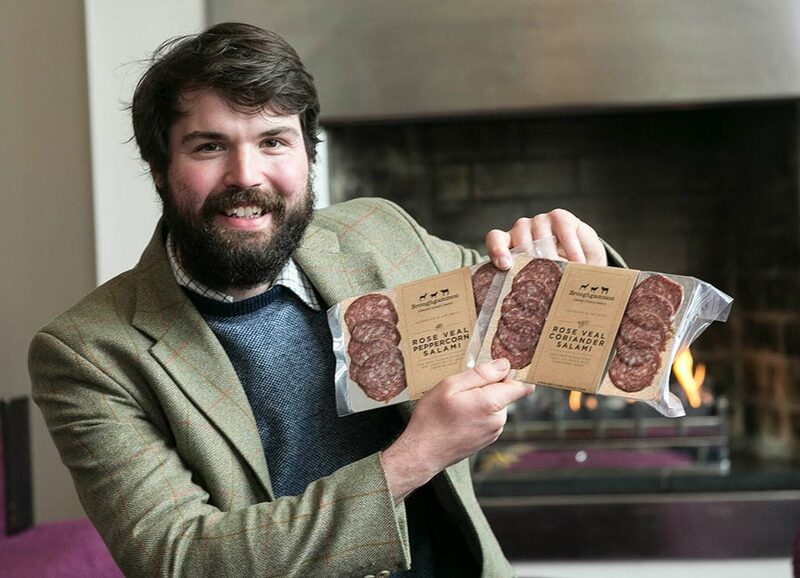 Hannon Meats are dry aged in four Himalayan salt chambers for an average of 35-45 days but they provide an extra aged product for special clients who want 80-100 days. Peter was a worthy recipient of this award, one of numerous awards he has deservedly won over the years.